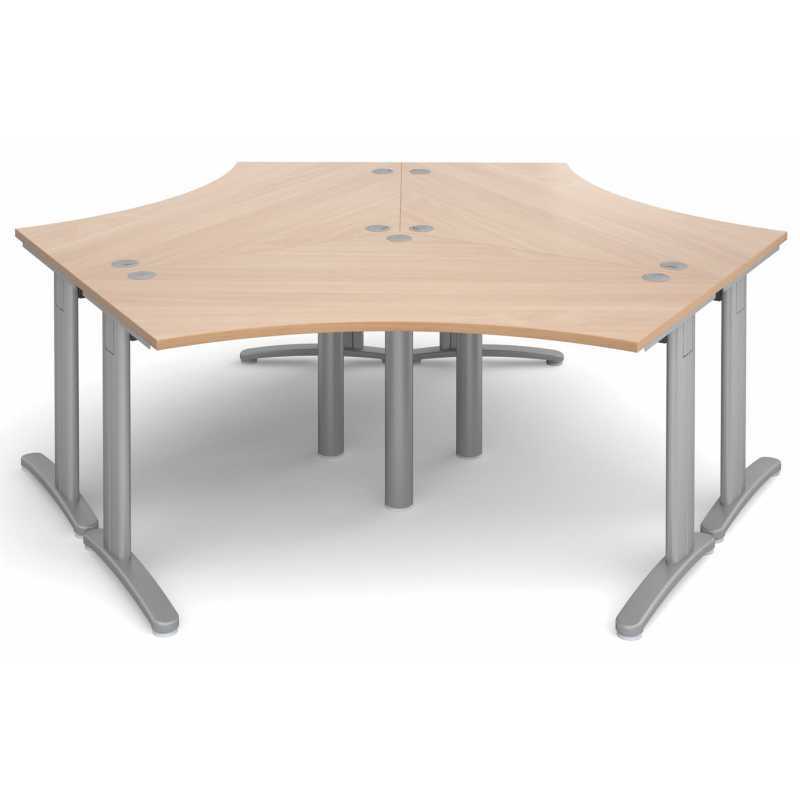 TR10 120 Degree Desk Cluster are a fully cable managed group of 3 Desks available in a wide range of shapes, sizes and finishes. Stand alone or use as group desks. 120 Degree Desk clusters with Cantilever frame with cable management beam. 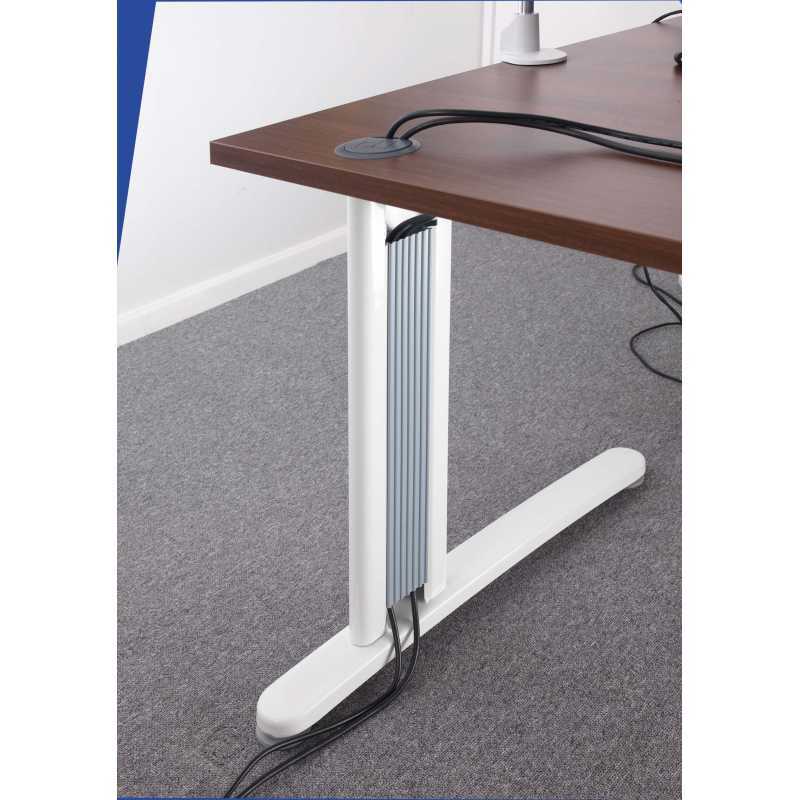 TR10 is a fully cable managed desking range. Desks are available in a wide range of shapes, sizes and finishes. 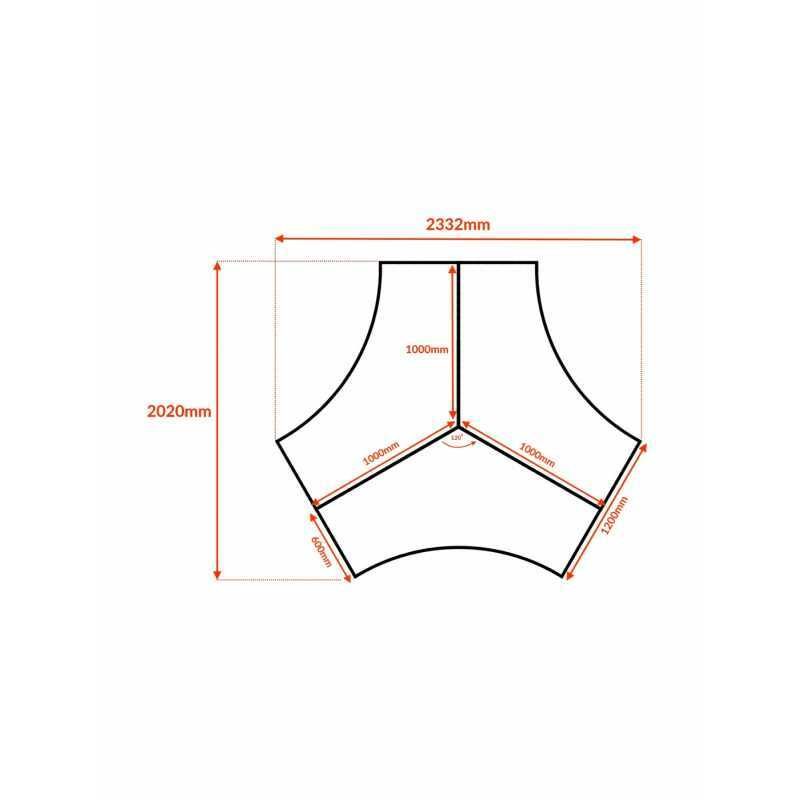 The fully welded leg frame offers strength while the design is modern with soft curves. The legs are supported by a steel beam system which creates openness with stability. Cable managed cantilever leg design with adjustable feet. Legs painted silver RAL(9006) or white RAL(9016). 25mm desk top, Cable access ports, Black horizontal cable managed beam. Beams slot into the leg frame for easy assembly. The telescopic beam extends to the required size, whilst acting as the cable management. Delivered flat packed. Installation available POA. Leg frames are fully welded for quick and easy assembly. Available in either white or silver. Legs have vertical cable management. TR10 is available in various shapes to suit any size office or layout, 2 leg frame colours and 5 wood finishes. We have found these desks to be excellent Quality and ideal for group working. The desks were delivered on time and well packaged. We opted for the full installation which was also excellent, no fuss no hassle everything taken care of. We also purchased matching storage and meeting point tables which all matched perfectly. The customer service and communication was very good. We purchased 4 of these 3 person group desks for our new office along with matching storage and have found this range of furniture to be very good quality and also modern looking, it has made our new office look fantastic. We opted to pay for the full installation and I have to say what a fantastic company Mike O'Dwyer Office Furniture has been to deal with from start to finish. They actually listened to what we wanted, their advice was first class, they were very helpful and flexible. Right from the initial phone call to the installation they have been excellent. I highly recommend this range of furniture and I would also highly recommend this company, Thanks. Great quality for the price, this is good looking office furniture built to last. Thank you for the quick delivery and professionalism!